Mason bees are so named for the mud walls they make to partition off their brood cells. East of the Mississippi, there are only 27 species out of the 150 found in North America. 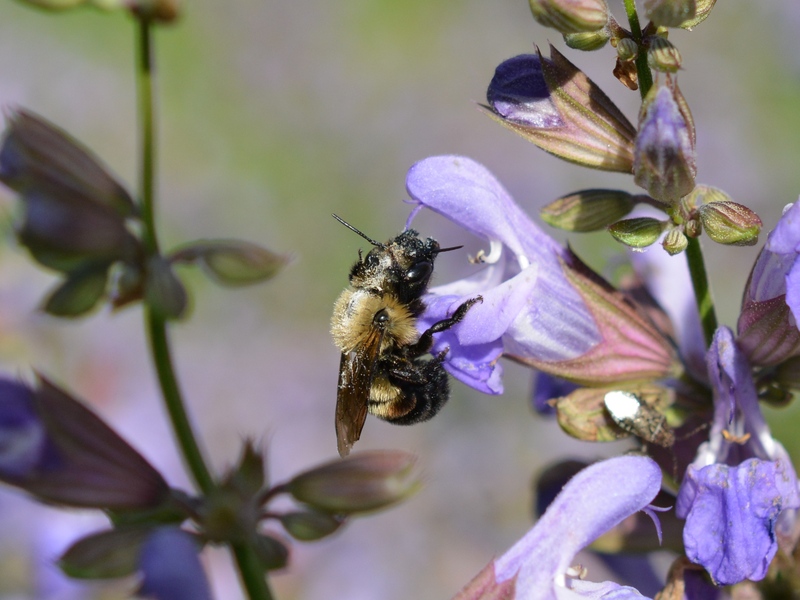 Two of the most common species are the blue orchard bee (native) and the horn-face bee (introduced from Japan). These are active in the early spring, especially during apple blossom time. This solitary bee lays her eggs and provisions them with “bee bread”, a mixture of pollen and nectar. Once her job is done, the larvae mature over the course of the summer and remains dormant until they emerge the following spring. These fast moving bees are efficient pollinators; 250 blue orchard bees can pollinate one acre of apples as effectively as 40,000 honey bees. This solitary but non-native bee can be found searching for holes in trees or brick walls and is found active in the early spring. It can be attracted to bee houses with holes drilled six inches deep, and has a flight radius of just over a quarter of a mile. 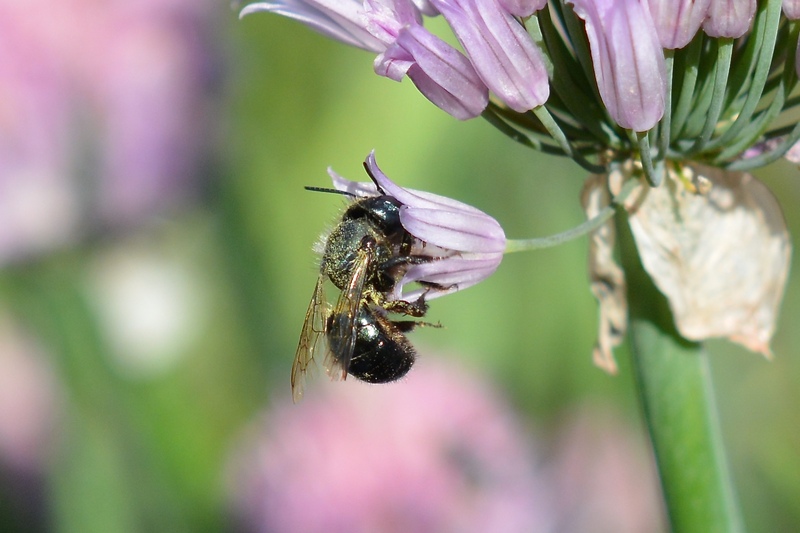 Look for its native counterpart the blue orchard bee.